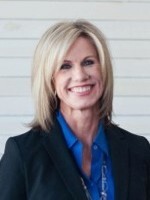 Janet Peterson has been an attorney and mediator in the Provo area since 2000. Her practice focuses on family law, including divorce, divorce modification, paternity, custody, child support, guardianship, step-parent adoption, parental rights, and appellate work. She served as a child advocate for the Children’s Justice Center and as a law clerk for the Provo Office of the Guardian ad Litem. She interned with the Honorable Dee Benson in the U.S. Federal District Court of Utah and clerked for the Honorable Steven L. Hansen in the Fourth District Court. Janet taught legal writing at Brigham Young University, J. Reuben Clark Law School for 17 years and has presented at national, regional, and local legal writing and CLE conferences. She published “The Appointment of Special Masters in High Conflict Divorces,” Utah Bar Journal, Sept. 2002, and she currently serves on the Model Utah Criminal Jury Instructions subcommittee. Janet also served many years on the Board of the Utah County Food and Care Coalition. She and her family have resided in the Provo area since 1985, and she enjoys biking, running, making wedding cakes, and playing piano.